STILLWATER – Naomi Grace Scutt passed away after a short illness on Friday, February 3rd, 2012. She is pre-deceased by her husband Irving Scutt, her sister Gwendoline Wilde, and her parents Charles and Lorena Stewart. Naomi was a wonderful mother who raised two sons, Robert (Samantha) and Jason Scutt of Stillwater. She was a loving grandmother to Jason Clark Scutt and Thomas James Williams. Naomi was also the beloved aunt of Mark (Donna) and Gary (Wanda) Wilde of Troy and Wynantskill, respectively. Naomi declined to receive funeral services upon her death and instead chose to participate in Albany Medical College’s anatomical gift program. It is the family’s sincere hope that the cause of knowledge be furthered by Naomi’s generous contribution. 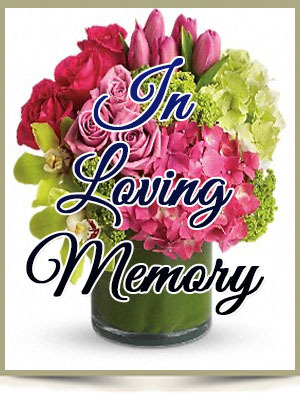 To leave a message of condolence for the family or send a sympathy card please visit www.HansFuneralHome.com. sORRY TO HEAR ABOUT THE LOSS OF YOUR MOTHER. wE WERE CHILDHOOD FRIENDS. WE SHARED MANY GOOD MEMORIES.